Magic Carpet Cleaning is providing wide variety of cleaning services in Mill Hill NW7 area and know how to deliver a fantastic cleaning treatment for your upholstery, carpets and rugs. Our cleaners are experienced and well trained to use advanced cleaning equipment from industry leaders – Prochem and Karcher. 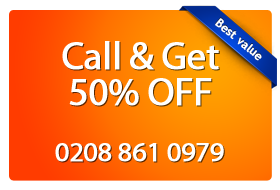 Call us now on 0208 861 0979 for more information and a price quote. Magic Carpet Cleaning, offers awesome cleaning service by using most recommended methods – hot water extraction and dry powder cleaning. Magic Carpet Cleaning is responsible company. We are using detergents, made by natural ingredients. Our professional carpet cleaners in Mill Hill NW7 provide upholstery, rug and carpet cleaning as well as stain removal of the highest quality. They are well equipped with industrial vacuum cleaners and other professional cleaning equipment to ensure a flawless cleaning process. To get in touch with us now and schedule a cleaning simply call 0208 861 0979 or fill the form below. We keep our phone lines always open for your convenience. Get advantage of our free price estimation. Or you can use our on-line booking form, and one of our friendly assistants will get in touch with in short period of time.